The resort is well suited for skiers of all ability levels. A range of beginner runs are perfect for learning, numerous intermediate and advanced runs are great for tuning the skills, and off-piste skiing is allowed everywhere for the experts. The Zhinvali Dam is a hydroelectric dam on the Aragvi River in the Caucasus Mountains in Zhinvali. The perfect spot to take a memorable picture of this day. Located on the Georgian Military Road, Pasanauri is flanked by the Aragvi River and surrounded by the Caucasus Mountains. Gudauri – young and rapid developing winter sports resort located at Kazbegi region of Georgia. 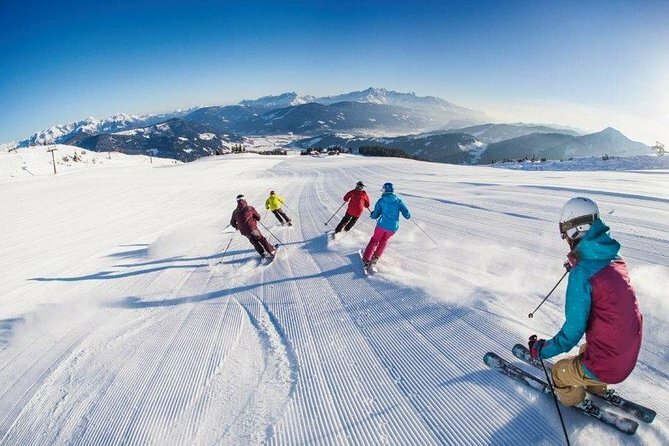 Enjoy the ski activities like skiing, snowmobile driving or just have a delicious mulled wine at the top of the snowy mountain.